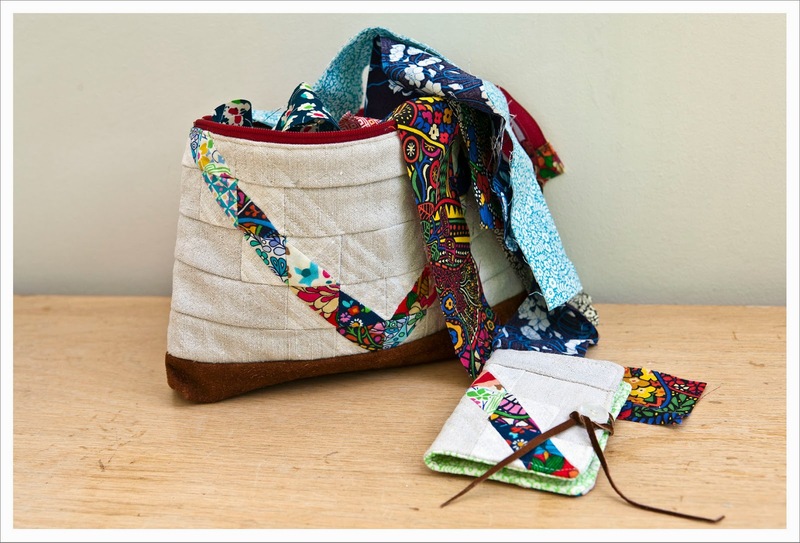 Issue 8 of Love Patchwork & Quilting that came out last months (sorry I am a bit late with this post) features the third and last Liberty project of the series. 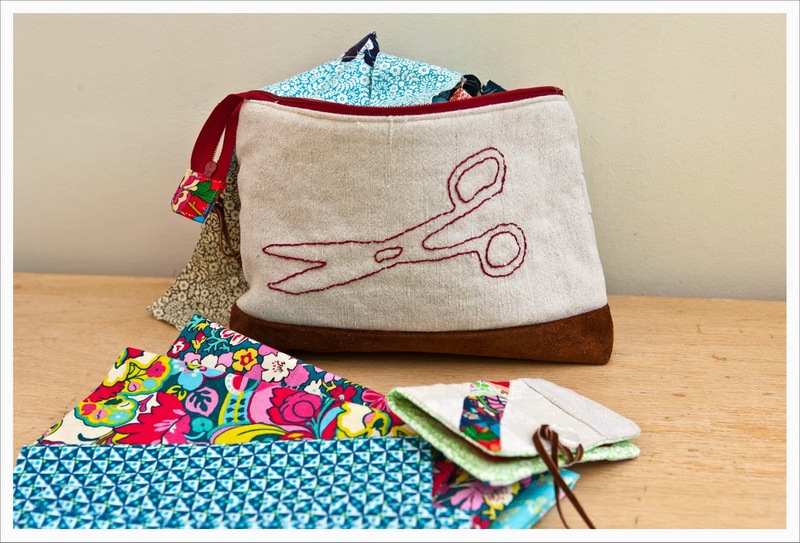 The first of the projects was the shopping bags for Mum and daughter in issue 6, the second the changing mat with baby blanket that were featured in issue 7 and are a personal favourite and for this last issue I made a pouch and needlebook for sewing-on-the-go. That leather looks a lot better on the pouch than it does worn ! Just don't tell her. 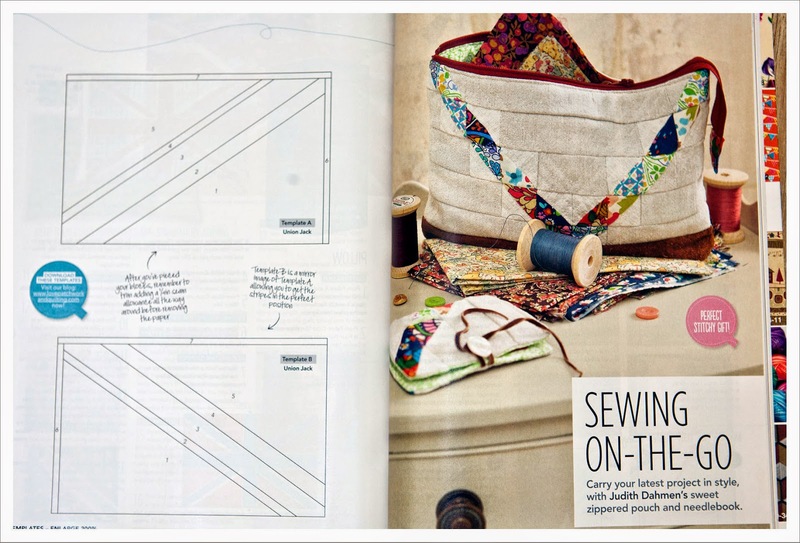 The magazine features again a host of great craters including Lynne Goldsworthy with her popular Union Jack cushion and Susan Standen with a beautiful matchstick quilted plus cushion. 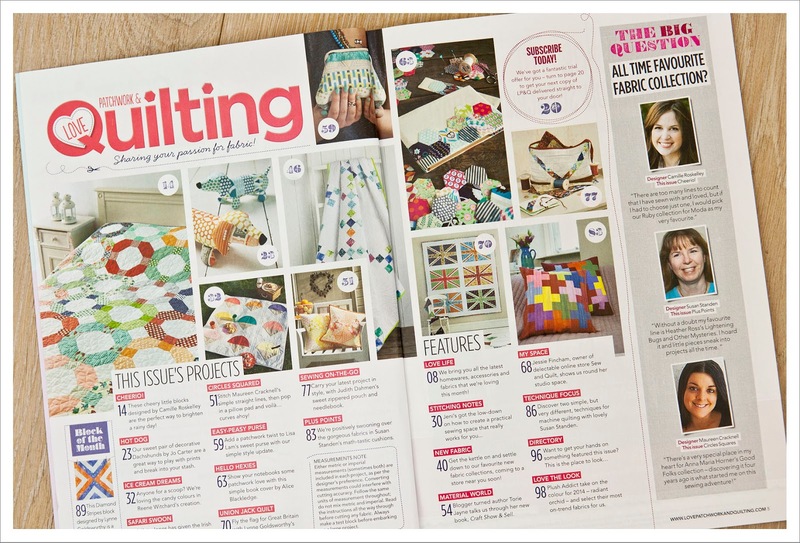 So go and get the issue whilst it is still available as the next one is more or less out in the next 10 days.